For the first time in as many years as I can remember, I’m actually grateful for the sunshine and warmth that’s greeting me every single morning beyond those bedroom curtains. We’ve been graced with some of the most beautiful weather in the last couple of months, more than making up for the onset of cold so late into spring, and my summer wardrobe is bustling with excitement. 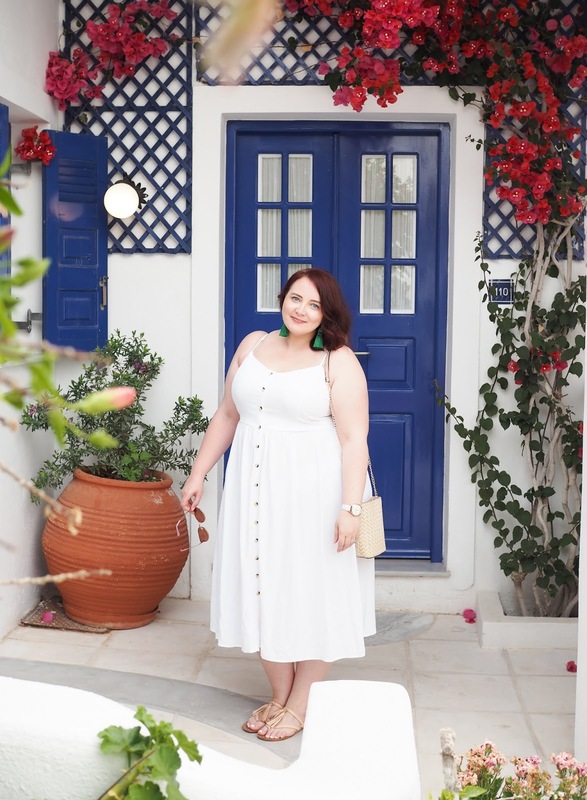 I’ve actually got so much more use out of my strappy dresses and maxi numbers so far than I think I did all season last year, but that hasn’t stopped me from making a cheeky new purchase or three to take me into the holiday season and beyond. 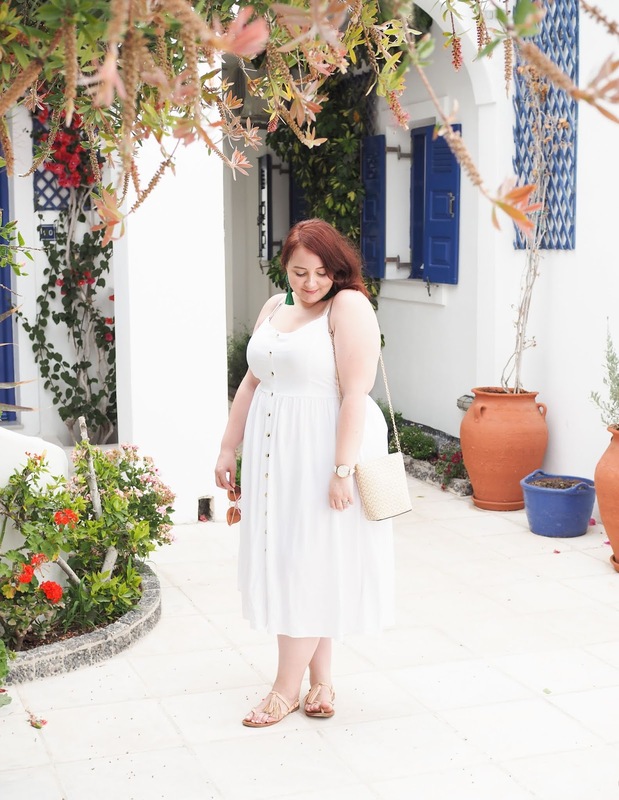 One of the dresses I’ve been loving the most and getting so much wear out of is this beautifully simple, classic and effortless white midi from New Look – and it got me thinking. Is this the wardrobe staple that every woman needs come summer? Yep, I believe it is! Although it’s available in a multitude of shades and materials (I’ve got it in coral and have my eye on the denim version too,) it’s the white one that got the most love when I shared a snap across my social channels; I think I sold at least nine in the space of 24 hours from the feedback of those that’d snapped it up! 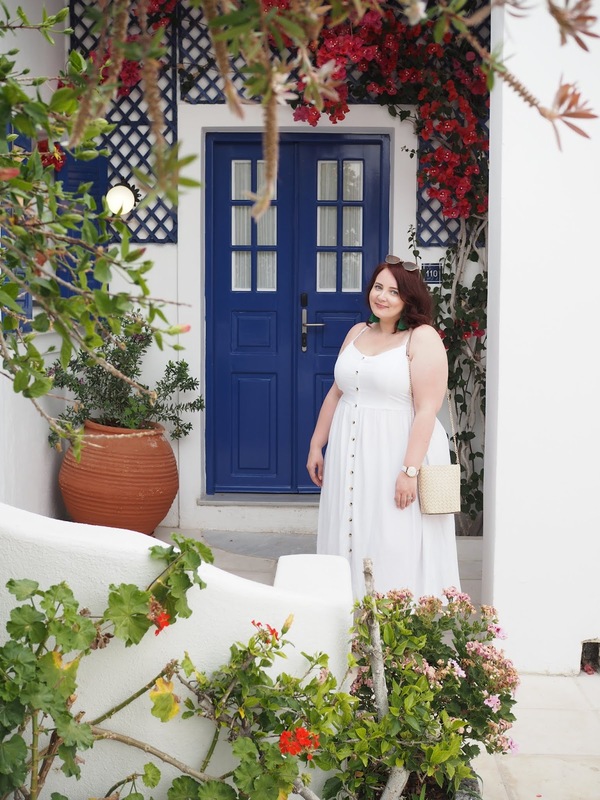 There’s something so effortless and classic about a crisp, white cotton dress and this midi buttoned-up number has a modern twist too – it’s a key piece everyone needs, and here’s why. You can pop on a pair of flip flops and wear it to the beach, or slip into a pair of stilettos and carry a clutch to be ready for a night out. A dress so effortless can be styled up or styled down, so it’s a staple in any wardrobe and great to save on luggage space if you’re flying away for a few days. The freshness of the crisp cotton works beautifully with a denim jacket or patterned kimono, but it also looks fab with a leather biker to keep you cool when the sun goes down. It’s the base of an outfit that allows you to have fun and experiment, injecting a splash of colour or some rustic raffia when the need arises. 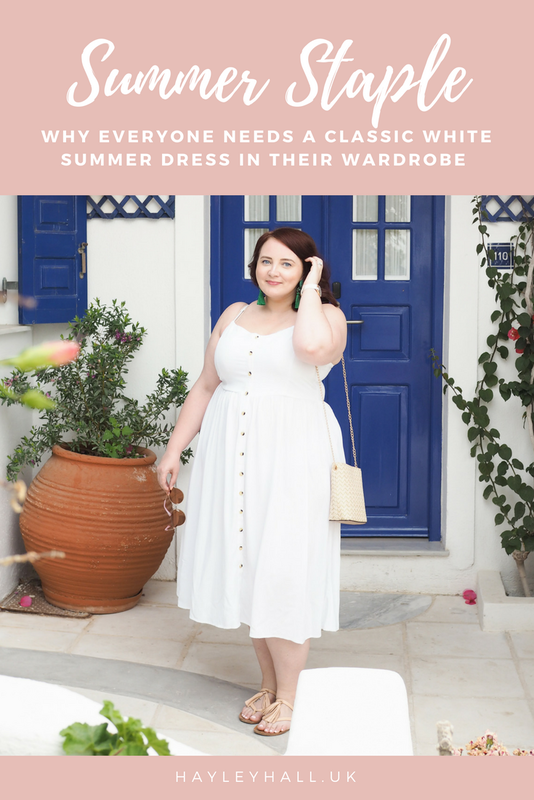 Some summertime fashions don’t transition that well from one year to the next, which makes me hesitant to invest in them; who wants to spend a small fortune on something you can only wear a few times before it gets stored away and probably forgotten about the next holiday season? A white dress is the complete opposite, and finding one you love will see you well for the years to come. 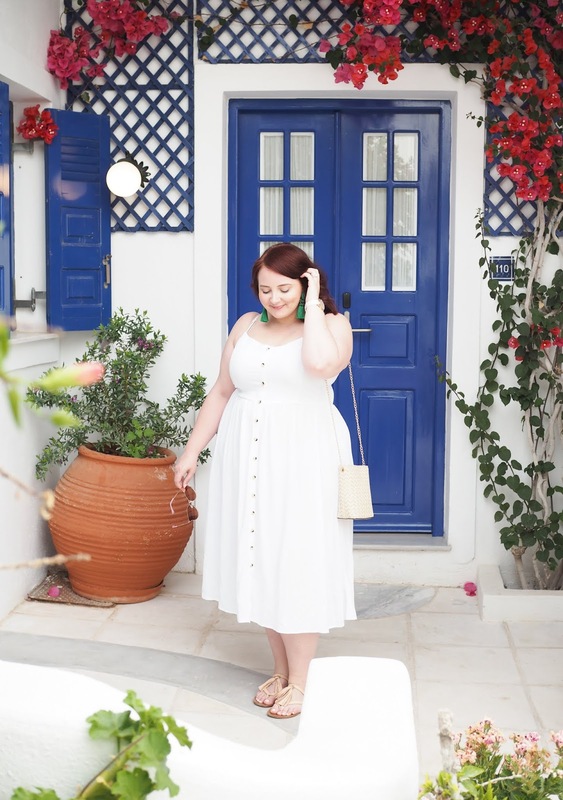 Are you a fan of the classic white dress for summertime? Pictures taken on holiday in Kuoros Village, Perissa Beach, Santorini by my fab husband. Thanks Pam! The buttons really make it don't they. It's super cute in denim! I love a pale blue denim dress for summer too – it's great for transitioning. And for the colour – I swear by that Oxy white stuff. It's amazing; even got hair dye out of my bath robe! Mix it with a bit of water and apply as paste to stains before a wash or chuck in a scoop.